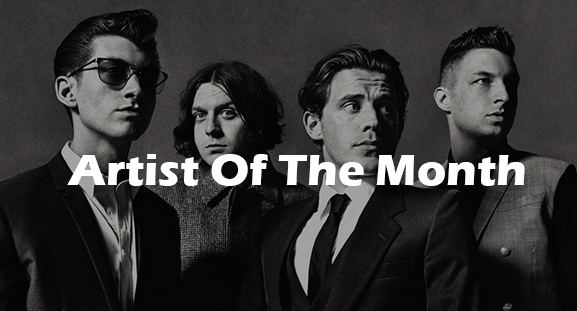 For May’s edition of YANOS’ Artist Of The Month, we are giving the title to the Arctic Monkeys, having released their latest album, Tranquillity Base Hotel & Casino, today (11th of May 2018). The last work from the Arctic Monkeys came in 2013 with album, AM. Much anticipated, the album includes some good tracks, although perhaps not what was expected. Tranquillity Base Hotel & Casino is a far cry from the four’s most recent albums. There is an obvious lack of up-tempo rifts, which we had come to expect from the band. Despite this, the craftsmanship of the vocals, and the intriguing element of the album, make for a very pleasant listen. Some of our favourite tracks from Tranquillity Base Hotel & Casino include: American Sports, Four out of Five, and Batphone. The new album has attracted mixed reviews, with many unhappy about the lack of upbeat hooks. The album has been slated by many, including loyal fans, but here at YANOS we enjoyed the work for what it is. The slow tempo wasn’t an issue for us here, and gave us a good showcase of Alex Turner and co.’s talent. The album is decent, although perhaps not on the same level as previous work. If you have your own comments you would like to add regarding the Arctic Monkeys and their latest album, or to suggest an artist for one of our next features, then please get in touch today. You can get in touch by using our contact form or by emailing us at: YANOS.Contact@gmail.com. As always, keep your ears to the ground for the latest updates from YANOS.